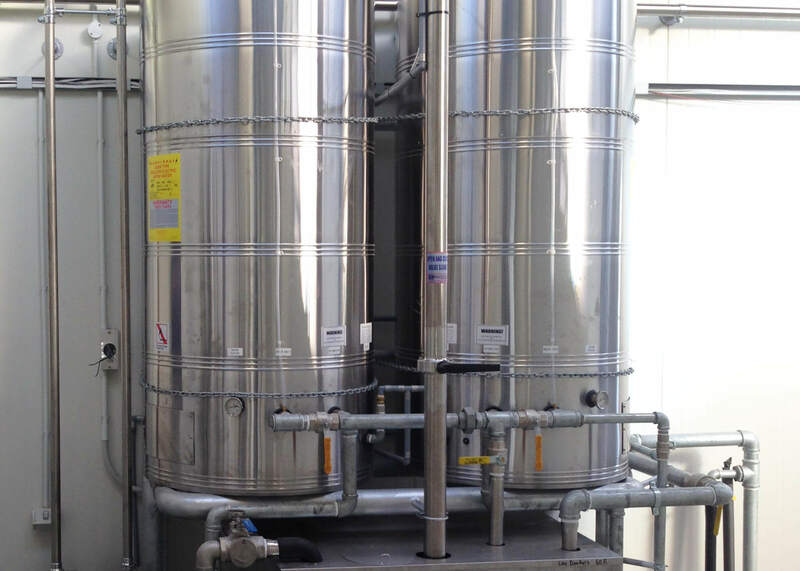 Hot water cylinders for every dairy plant size. Choose from a range of capacities and material types. New Zealand made and manufactured to the NZS 4604 standard. All come equipped with a vacuum breaker, a sight tube, a temperature gauge, and valve kit for automated filling. Sizes range from 180 L with a 3 kW heating element, and scale up to 1,500 L with three 5 kW heating elements. Generally speaking, for 60 to 80 bail plants the 1,200 L cylinder tends to be the most size popular. Inner barrel materials include copper or stainless steel, and the choice of either depends on the composition of the water. For a farm water supply rich in nitrates, a stainless steel barrel offers better resistance to corrosion compared to copper. But for water rich in chloride, copper barrels offer better resistance to corrosion. Similarly, outer barrel materials include stainless steel, galvanised steel, or plastic.